Yasushi Takahashi is a 7th generation Japanese miso brewer. 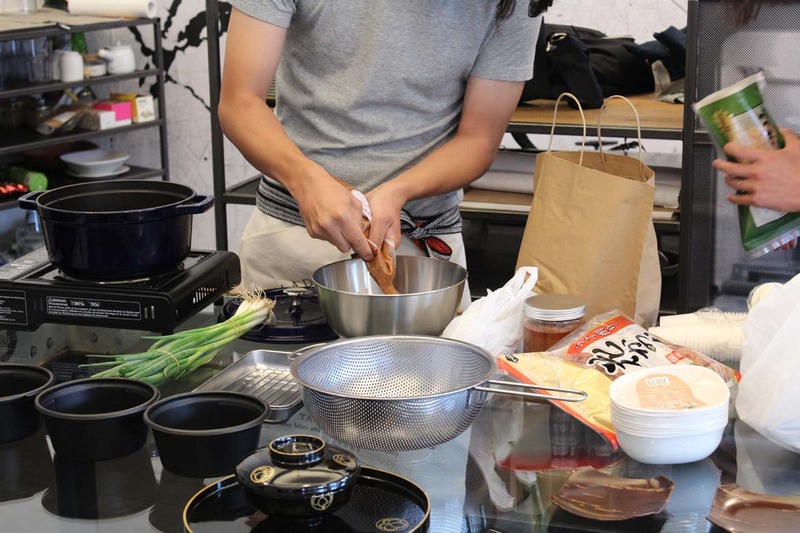 During his workshop at NION Base, he taught us a lot about the classic dish and showed us some tricks, even unknown to many Japanese people. Brewing is not only about traditional food production. It is a way of thinking that creates an entire ecosystem in which humans, animals and bacteria coexist peacefully. This is why Yasushi’s brewery Yamamo is located near a garden that works like a filter, cleaning the water. 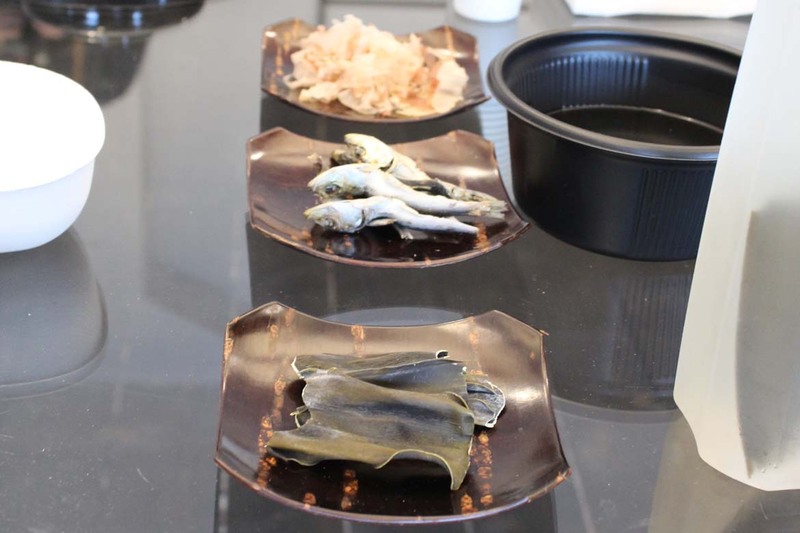 Besides miso paste (light or dark – the dark one has more nuances), for a really good miso soup you need fresh water and a broth to boil everything in and let it steep: Kombu algae, some fish or, smoked and finely sliced tuna. The latter is the favourite of the whole group. Usually, miso paste is made without sugar, because it is not needed for the fermentation process. Sometimes, industrially produced miso is mixed with sugar and soy sauce to influence the taste – and I guess the price, too. 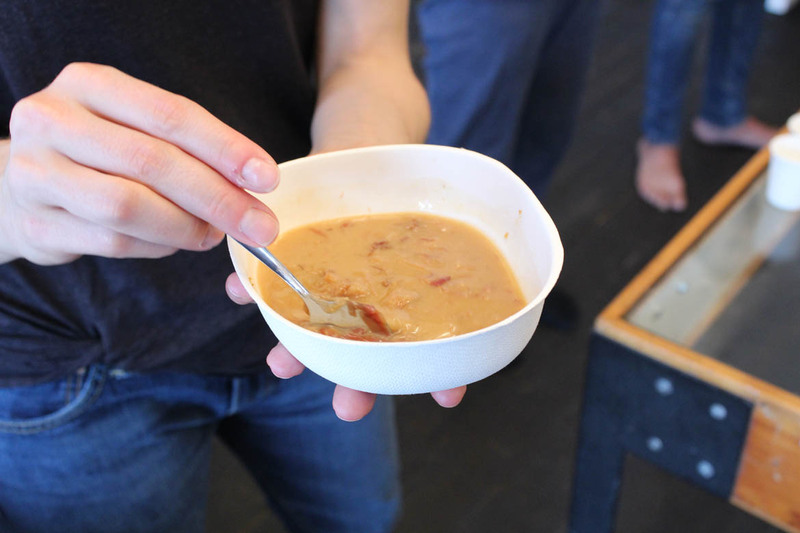 In this particular workshop we enjoy sugar-free miso and Yasushi shows us 3 different ways to make a delicious miso soup. 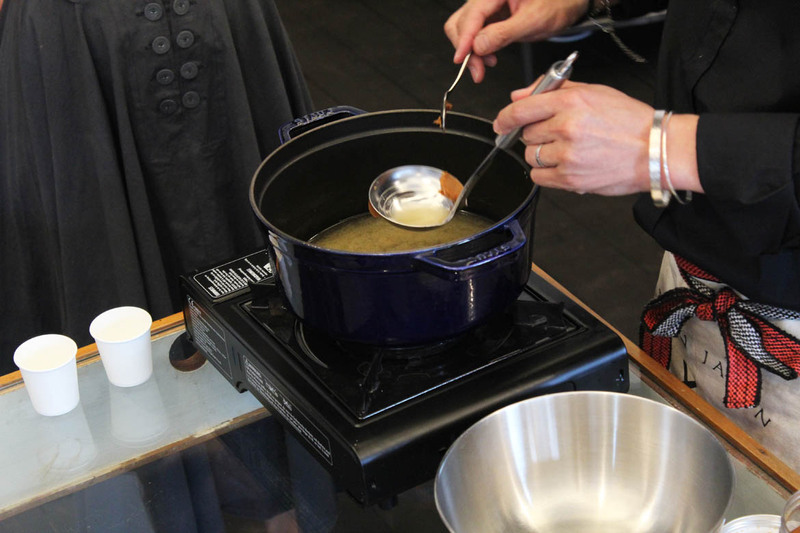 Add miso paste to a pot filled with dashi and stir it with a ladle until it dissolves. This is how miso soup is usually known. It’s a bit cloudy and the taste reminds of autumn: at first, sour and earthy – but in the end, you only taste the mild sweetness. Mix tuna slices with some miso paste in a bowl and gradually add water until you have a thick sauce. This already tastes very good. Then, add it to your pot of dashi and cook it for 3 minutes on a medium flame. Afterwards, use a sieve with filter paper to gain a clear broth. The result is very tasty and my absolute favourite. Now I understand, why only emperors and well respected people were allowed to eat their miso soup like this: It is so delicious! 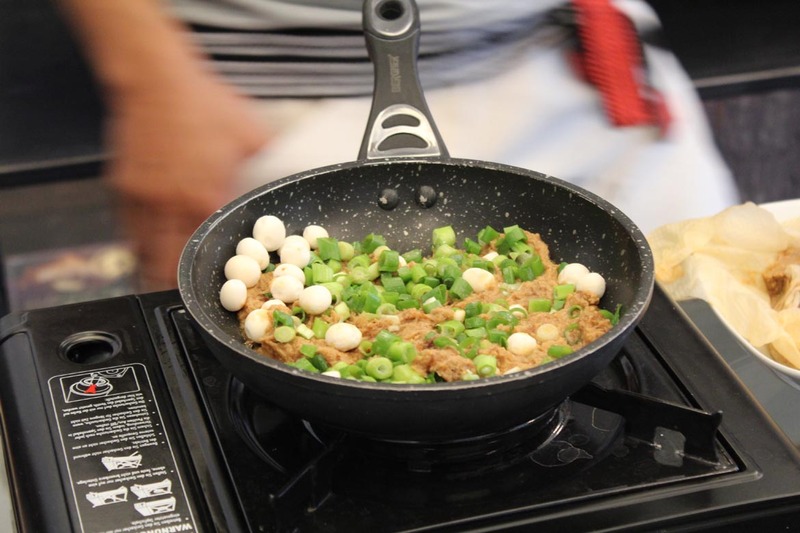 With the remains from the filter, Yasushi prepares another meal that he fried in a pan and garnished with Japanese chickpeas and spring onions. Unfortunately, I have to stop here, because the peas contain gluten. But this winter, I’m definitely going to cook the emperor-style miso soup at home. Yasushi takes some of the emperor miso soup and blends it with more dashi. The result is a less salty, but still very tasty version which he serves with onions and fried peas in a traditional Japanese dish with the emblem of his family. After this introduction to the art of miso brewing and cooking, I feel like a philistine. Until now, I used miso paste just to thicken soups and sauces. Hopefully now I can use the skills from this workshop in my own kitchen and be inspired culinarily again.